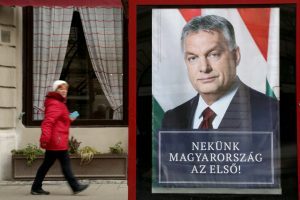 The steady anti-democratic drift of Hungary in the last eight years have been the subject of some discussion – of varying depth – outside the country as well. But beyond politics, the economic policies and record of the EU’s probably most notorious hard right government is much less talked about. To what extent have they been coherent or successful? Does Orbán’s rule have a solid economic basis at all, and if yes, how does it fit into European and global capitalism? In other words, is it likely that it will continue to reproduce itself in a material sense, or is it perhaps on the verge of collapse or disintegration? There is very little or no analysis, to my knowledge, that tried to answer these questions, although they are crucial. In this article, I attempt to provide a political economic analysis by looking at the record of Orbán’s tenure, likely to continue after the elections in April. The last four years have been marked by relative stability with some accumulating tensions that have hitherto not come to the surface. In terms of economic policy one cannot help but get the impression that despite some bizarre and colorful episodes – most notably the spectacular enrichment of some government-friendly oligarchs – it is carefully calculated and situated in the larger context of maintaining a set of class alliances including both domestic and foreign actors that Orbán’s rule depends on. First, budgetary discipline has consistently been followed: the annual budget deficit has not exceeded 3% of GDP since 2012 (1), putting government debt on a slow downward trend (2), with its foreign currency-denominated part cut in half since 2011 (3). After a fall in GDP in 2012 due to a major fiscal retrenchmencat, GDP growth has gradually picked up, projected to have grown 4% in 2017 (4). While liberal economists like to point out that growth has been completely dependent on net transfers from the EU (reaching up to 5% of GDP), this seems to be true only until around 2014, when this external effect spilled over to domestic consumer and investment demand that started to propel growth on their own. After years of wage restraint, net wages rose by 7% and 13% in 2016 and 2017, respectively (5). Investments were heavily affected by the fluctuation in the utilisation of EU transfers, yet they rose, on a yearly average, by nearly 5% in 2015-17, although again from a very low basis. Couple this with falling total (private and public) external indebtedness (6) and we see a rather consistent policy of reducing external vulnerability, which is a rational strategy from the government given its tenuous international alliances and a volatile global economy. As we know ’prudential’ fiscal policy is appreciated by ’financial markets’, that is by the managers and owners of vast sums of private wealth, and indeed, the country’s credit ratings have been stable or moving upward since 2014 (7). Much to the chagrin of Hungarian liberals who liked to taunt the government in 2012 with its ’junk’ rating, the credit rating agencies have essentially endorsed Orbán’s fiscal course and no relieving force has arrived from the City of London ever since. As for the national economy itself, how has this notoriously ’anti-European’ government got along with the domestic and foreign owners of the country’s main economic assets? As is well known, Orbán likes to attack ’globalists’, ‘foreign’ bankers, ‘speculators’ and ’neoliberalism’. This type of resentment-filled right-wing populism is the standard language of pro-government media outlets and its main figureheads, such as Zsolt Bayer, Mária Schmidt and others. 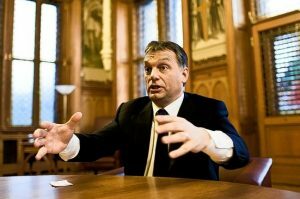 In the ever-shrinking media microcosm of anti-government liberals, Orbán’s policies are regularly compared – rather implausibly for a rabidly anti-communist government identifying with the interwar Horthy-régime – to the communist leaders Rákosi and Kádár, described as ’populist’ or even ’Marxist’ (Stalinist etc.). But what is the relationship of either of these discourses with reality? A recent report (8) on government subsidies to multinational companies showed that between 2010 and 2018 Orbán’s government supported foreign owned groups with twice as much public money than its ’globalist’ predecessor in the preceding 8 years. These subsidies were allocated through so-called ’strategic agreements’, signed with multinational groups. Recently the German business weekly Handelsblatt surveyed (9) how investors from Germany, the biggest source of FDI in the country by far, feel about the administration. Their views were almost universally positive, with the editor of Budapester Zeitung guessing that over 90% of German investors in Hungary would vote for the current administration if they could. This is not surprising if we consider soberly the government’s economic line. The use of public funds to attract foreign investment (and make it more profitable) is only the tip of the iceberg. More importantly, a new labor code was introduced in 2013, tailored to the desires of manufacturing companies, curtailing union rights and increasing ’flexibility’. The corporate tax rate had already been low by European standards (19%), and will be lowered to a level (9%) worthy of a tax-haven from next year (10). A flat income tax was introduced at the very beginning of Orbán’s first term. Again, these policies are not simply examples of ’state capture’ by corporations, but seem to be consciously adopted for political reasons as well. The purpose is to keep the trade balance positive by favoring export-oriented foreign (manufacturing) firms to reduce external financial vulnerability and also to make sure that Western capital has no good reason to lobby (by their own governments) for a political attack against Orbán’s rule. So far this maneuvering has proved quite successful on its own terms. The rather amicable relations with foreign capital have received less attention than the rise of systemic cronyism in the form of the spectacular enrichment of a number of individuals close to the prime minister. Of course corruption existed in Hungary before 2010 too, but the scale of the phenomenon seems to have changed. The most well-known example is that of Lőrinc Mészáros, originally a gas-fitter and small-scale businessman from Orbán’s native village Felcsút, whose wealth increased from approximately 20 to 350 million euros in 2017 (11). His vast network of companies (82 new ones created in the last year) won public tenders worth almost a billion euros in total, and gaining significant (or even dominant) positions in national and regional media as well as tourism, buying up the biggest tourism company around lake Balaton. The similarly rapid expansion of the business empire of Orbán’s son-in-law and a host of other new oligarchs have made international news (12). To describe these developments as ’corruption’ is probably not only an understatement, but a misunderstanding of their nature and function. Instead they again seem to fit into a coherent strategy of ensuring an economic basis for the authoritarian state that Orbán has built. Let us not forget that the basic structure of Hungary’s economy has not changed and it is still dominated by transnational capital, concentrated in manufacturing, whose interests Orbán has not significantly touched, and arguably has done his utmost to create ideal conditions for profit extraction. While the enrichment of figures such as Mészáros is hair-raising, we should keep in mind the proportions on a macro scale. As an example, Mészáros’s total wealth of around 0.35 billion euros is somewhat less than the yearly profit of Audi in 2016 (13), and is negligible compared to the total foreign-owned stock of investment in the country (over 64 billion euros in 2016 (14). Hungary continues to have one of the most open economies in the EU (indeed the whole world), with very high export-to-GDP and FDI-stock-to-GDP ratios (15). It has been therefore domestic sectors such as tourism, retail, agriculture, media and some infrastructure projects where there is more elbow room for the government to build up its own economic support base. We are seeing the birth of a new state-dependent bourgeoisie that cannot afford a change of government, as they owe their wealth to the current leadership through myriads of shady deals. There is a noticeable change from Lajos Simicska, the former main economic ally of Orbán, now turned deadly enemy, to the new oligarchs such as Lőrinc Mészáros. Simicska had become wealthy already before Orbán’s political rise and was said to be independent and a strategic mastermind. In contrast, Mészáros merely owned a small gas-fitting company previously and seems much more of a strawman set up by the state and completely dependent on it. We can also speculate that the prime minister made sure to have enough compromising material on any member of the new oligarchy, that can be released to government-run/controlled media with a click, should their allegiance become questionable. The government also moved some of the most important infrastructure projects outside of EU jurisdiction. The expansion of the nuclear plant in the city of Paks will be financed with a Russian loan, and a planned upgrade of the Budapest-Belgrade railway line with Chinese funds (16). Both projects were approved without any serious public discussion or analysis and already seem overpriced and lacking any obvious economic rationale, at least from the point of view of Hungarian taxpayers. It is therefore hard to draw a different conclusion that they are first and foremost cover-ups to build up the Fidesz-bourgeoisie without any meddling from the EU. Making big foreign investors content and building its domestic business coalition, while watching out for budgetary and macroeconomic stability, has Orbán found a winning and sustainable formula, at least from his own standpoint? Even from a purely economic standpoint this is less than clear. There has undeniably been some success regarding short term growth in the last four years. This was achieved by budgetary discipline and driving down the interest rate, by attracting foreign investment, by maximal utilization of EU funds and, finally, in the last two years also cautious monetary and even some fiscal stimulus (cf. the so-called CSOK program, giving a boost to construction (17). However, long-term growth prospects look bleaker. First, growth remains highly dependent on EU transfers, and it is an open question what the next EU budget will look like. There is also a chance that the massive misallocation (and outright misappropriation) of EU funds in Hungary and other Eastern European states will become a political issue in Germany (or maybe France), that could suspend or cut off their flow. Moreover, there are serious problems with the country’s internal growth potential. Estimates vary, but something like 3-5% of the country’s population has emigrated in the last decade, mostly young graduates and skilled workers: the key groups for the basis of sustainable growth. In recent years companies have started to face labor shortages, probably one of the reasons for the jump in wages in 2016 and 2017. The country is in demographic decline (18), something that the government has not been able to halt despite its belligerent claims. While budgetary discipline has been the first priority, the main systems of provision, i.e. education, healthcare and social policy have suffered. From 2010 to 2014 healthcare and education spending as % of GDP fell substantially, and in 2015 still did not reach their pre-crisis level, whereas spending on social protection has been falling continuously (19), although they had already been under the EU average before. Spending on assistance for the most vulnerable groups, such as disability and unemployment benefits, were almost cut in half in the first term, and total pension spending also fell from 2012 with early retirement schemes being in particular attacked. In short, while large swathes of the population that are probably the most important for the country’s growth potential have been leaving, investment into the wellbeing, health and abilities of those who stayed has been badly neglected. Economic prospects are therefore not bright, but this does not necessarily mean that Orbán’s project will unravel in the near future. First, the political preconditions for political change are probably missing, such as opposition forces or movements with sufficient resources and platforms of communication and free elections on a level playing field (even in the narrow technical sense of capitalist democracies). Second, the country’s economic performance does not have to be stellar to avoid collapse. Unlike his erstwhile liberal adversaries Orbán did come up with a ’régime of accumulation’ and a system of class alliances that has been able to reproduce itself so far and shows no obvious signs of disintegration in the near future. With transnational conglomerates and ’financial markets’ being relatively satisfied with his rule, external debt declining (or its most toxic form, foreign currency debt declining and total debt at least stagnant) and therefore financial vulnerability kept in check, the external threats seem manageable. The domestic bourgeoisie is either completely tied to the state (the case of ’new oligarchs’) or at least accepting Orbán’s system: the only vocal voice of dissent in recent years has been Lajos Simicska, who will, however, likely lose his guerilla war against the state. Therefore, no ’capital strike’ scenario seems likely. As for feeding his régime with a sufficient number of votes to win manipulated elections under conditions of low turnout, the core voter block of Fidesz of around 2 million voters seems more than sufficient. This could potentially change if all oppositional forces, including Jobbik, would close ranks and run only one candidate in individual districts, that could drive up the turnout. This was shown recently in Hódmezővásárhely (20), a traditional Fidesz-stronghold, where Fidesz badly lost a mayoral election to a locally well-known independent candidate supported by all opposition parties. It is a big question how the government might react to such a scenario: would it turn to more direct forms of repression or fraud? At this point, however, the liberal opposition seems unable to recover from the loss of around a million voters it suffered in the period of 2006-10, mainly because they are incapable of offering a credible socioeconomic alternative (the demographic decline of the socialists’ voter bloc is also a factor). That is not an easy task given that their last period of government literally ended with bankruptcy, i.e. an emergency IMF loan to avert bankruptcy followed by the usual brutal austerity bill that destroyed the credibility of the socialist party for good. 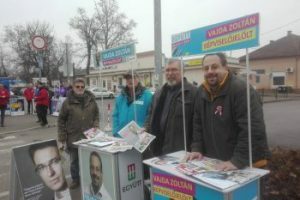 Neither the electorate, nor domestic or foreign business owners seem particularly keen on bringing back the policies of socialist-liberal coalitions, even if there are indications, such as the by-election in Hódmezővásárhely, that there might be much more lurking popular discontent against Orbán’s rule than suggested national polls, that might be off to some extent. Nevertheless, it seems likely that until a viable political alternative emerges, Orbán’s recipe for managing Hungary’s semi-peripheral capitalism can reproduce itself even in the face of mediocre economic performance. THE NEOLIBERAL SELF: SOME OBSERVATIONS O .. Victory and defeat: 1945, 1989, 2015 – ..
And so it begins…? First cracks in the .. Independently of what is possible politically in the short term, one can still ask the question what could be a workable alternative to ’Orbánism’ in Hungary. Clearly, Orbán is not an isolated phenomenon: Mark Blyth (21) and many others have convincingly showed how the reign of pseudo-Left political forces mixing austerity policies with (often insincere and inconsistent) cultural liberalism leads to the rise of the authoritarian Right. With the model of governance between 1990-2010 visibly defunct, there has been more thinking recently on what could be an alternative, mostly coming from younger social democrats (mostly young academics), with the web magazines Mérce and Új Egyenlőség being particularly important. In the core capitalist countries with national currencies that are world currencies as well, a left-Keynesian/social democratic growth model can certainly be envisioned in macroeconomic terms, something put forward recently by Labour in Britain under Corbyn and McDonnell. The recipe would be more public investment, expansionary monetary policies, expanded union rights and supportive policies fueling stronger wage growth and hence higher, ‘demand-led’ aggregate growth. Even if this is workable macroeconomically, which is contested, such ideas are not without deeper problems. By undermining profitability and ultimately questioning the control of capital owners over ’the economy’, they logically lead to a general social crisis where the ’middle of the road’ position of a ’good capitalism’, the starting point of Keynesian ideas, can quickly become untenable. In the case of Hungary, however, the room of maneuver for such policies is far more limited, due to the country’s external vulnerability and limited resources. This is a question not frequently addressed by social democratic authors. But there is a more immediate and elementary problem with such ideas in the Hungarian context that is even less discussed. Namely, a left social democratic platform is essentially a political project: its preconditions have to be created politically, that is, by shifting the balance of forces in its favor. This means first of all class analysis (and conflict): what would be the social groups that would be in favor of such ideas – and who would be its natural adversaries? Foreign investors, the domestic business class, or the upper middle class (that typically works either for foreign capital or the current government) are unlikely to welcome such changes. It is also unlikely that such policies could be implemented – and we are talking about a theoretical possibility only here, since no organizations putting forward such a platform are close to state power (or even exist) – without stepping on the toes of the previous groups, surely provoking a blowback. There is no point to go into a more detailed analysis here, since we are talking about a fictional possibility. But advocating such ideas in a technocratic fashion, ‘because they work’ (for whom?) or ‘good for the country’ (who within the country? ), without a specific historical analysis of the organizations that would be needed, without the analysis of class forces that could serve as the basis of such a platform, without thinking strategically about politics as a question of forces and conflicts is naive and unrealistic, or worse, an academic exercise done in bad faith. If a Left alternative is to be proposed to authoritarian capitalism, it cannot be an apolitical ’policy package’.